Takeaway: Microorganisms are routinely introduced and cultivated in our hydroponic set-ups and gardens, but one such organism you don’t want to see is Pythium. It’s difficult to eradicate and it kills everything in its path. Though previously classified as fungi, Pythium is an oomycete and an absorptive, parasitic microorganism. Pythium feeds on dead or decaying organic matter and is on the pathway to disease and plant death. Nature has an assignment for Pythium — to help completely decay and digest dying organic matter. Pythium can also be very difficult to control or eradicate, so it is far better to prevent this organism than it is to cure. Pythium root rot is a persistent cause of trouble in constantly wet soil. Root rot multiplies rapidly by producing tiny, spreading spores. These grow and multiply in the soil or growing media until all plants in the area are infected. In systems where water is recirculated to more than one section, the disease can spread throughout all interconnected areas. Prior to being able to establish itself, however, Pythium is very selective about what plants it attacks. This is key toward winning the battle against Pythium. How Pythium Finds its Way into the Garden? 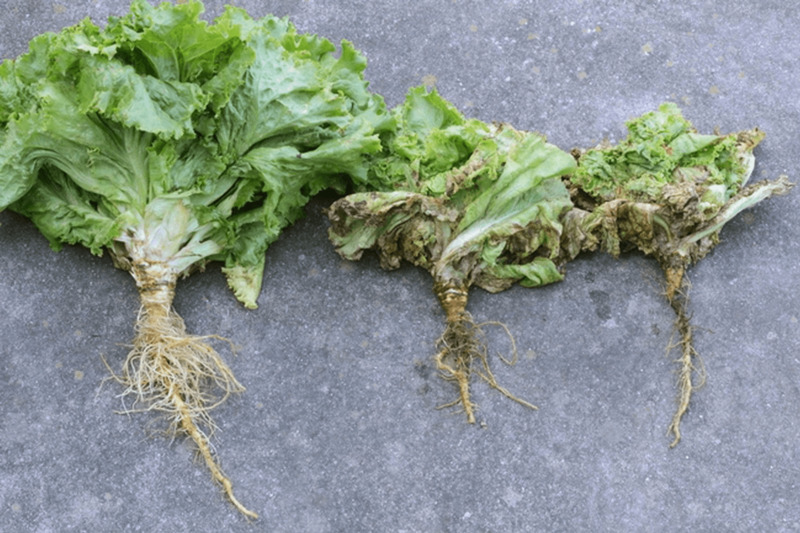 Though Pythium is not mentioned in horticulture literature as a disease likely to be spread through airborne means, there are many other root rot diseases that are. So, in addition to contamination from containers, tools, and old soil, airborne contamination from many other soil diseases is an issue. This information is very important in developing a control-management program to protect your crop from root rot diseases. Most often, soil-borne disease microbes flourish because the soil or growing media is constantly wet. The spores leading to an infection capable of harming your crop have many avenues from which to come and, with wet soil, they have the environment to help these pests thrive. Fungus gnatsare often a source or vector for Pythium. These tiny insects thrive in moist soil and lay their eggs there. Because of this, not only do they spread their populations throughout your home or greenhouse this way, they become contaminated by Pythium spores (when present) and can easily spread them to other plants. Using old potting mixes and recirculating irrigation water are two common ways Pythium gets introduced to some of your plants. When water is recirculated through a common reservoir and even one plant becomes infected, they are all exposed to these same microbes. Smaller groups of plants sharing water reservoirs will help reduce the expanse of the crop that may be damaged. Aeration of the reservoir water will also help reduce the proliferation of these microbes in your reservoir. Other contamination sources include garden equipment and containers or raised bed structures. Even the clothes you wear into your grow area may be contaminated. The effects of Pythium continue beyond the initial plant onto the developing mature plants long after transplanting. The symptoms need to be viewed separately from their impact on plant function. Early symptoms will appear at the stem base and, if inspected, the roots. Roots will show widespread browning and new whitish rootlets will be sparse or missing altogether. Dark lesions often develop on the stem base and these moist looking spots will likely be your first clue of an infestation. Damping-off is another clue for identifying the presence of Pythium. This is seen in young plants and seedlings, and most often in soilless cultures. The healthy roots on the plant to the left are key to the healthy foliage seen. The plant to the right is the most severely diseased, while the one in the center is progressing in severity. 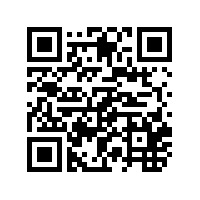 For more information on various microbial pests causing root rot disease, click on the QR code at the end of the article and follow an appropriate link. Knowing which soil disease is likely causing the decline of your crop is critical towards knowing how to attempt to control the issue. Please look at the chart for spotting these causal agents. It is not very practical to physically isolate your crop to try and prevent pathogen microbes like Pythium. There are simply too many things that can eventually creep into your greenhouse or tent to infect the soil or foliage. There are, however, steps to reduce and minimize your crops exposure. The recommendation for not reusing old potting mix is primarily focused on prevention of root rot. In the old soil, there are dead roots, which need to decay and go away. But those roots are an invitation and sustenance for pathogenic microbes that cause root rot. Soil sterilization, either through solarization or other high-temperature methods, will kill off the pathogens, which is a good start. Even if this old soil is subjected to 170˚F for 30 minutes to try to kill off any pathogenic microbes, the existence of all the dead organic matter in that soil would predispose it towards being an incubator for these disease organisms. A complete cycle of composting is likely the most practical method for reusing old soil. Be wary of internet information advocating for reusing potting mixes when pathogenic microbes, weed seeds, and insects are not accounted for. When using water from a reservoir, the temperature is very important. Warm water over 76˚F promotes the growth of harmful microbes. Where the water is recirculated, the presence of organic matter (old roots for instance) is food for these microbes. So, controlling the temperature and filtering out organic matter to keep the water clean goes a long way towards a healthier root system. Allowing soils and grow media to adequately dry in between watering is very useful in maintaining an environment where the pathogenic spores do not multiply so rapidly. It’s not the simple presence of small colonies of harmful microbes that kill plants. When massive colonies exist due to optimum conditions for their growth, this overwhelming force of harmful germs will bring an otherwise healthy plant down to its knees. The root disease must be identified early for most chemical treatments to be effective. Sometimes particular pathogenic diseases become resistant to certain chemical remedies, and for this reason, rotating between at least two chemicals can be a better long-term treatment option. Use the QR code at the bottom of the article to check out a link for specific chemical options and associated concepts for controlling Pythium and other root rot diseases. Review some of the ideas in the detection section of this article for getting a head start on identifying root disease. To reasonably confirm root disease, you will need to pull a plant or two up from the soil and examine the roots. You can only truly confirm root rot through the examination of a stunted and damaged root system. The presence of disease-producing microbes in the soil or grow-media is difficult to completely prevent. As these organisms can do so much damage to your crop, it is vital to keep your greenhouse or growing areas clean. Grow-media that become at all anaerobic due to overly wet conditions are highly likely to produce vast colonies of pathogenic microbes, so proper irrigation cycles and grow media that drains well is a must in this battle. In water-culture grows, making certain that the aeration of the water is always above the minimum level is key. Temperature control is a major factor in nearly every type of growing setup. The best way to manage Pythium in your crop’s soil is to prevent its introduction and proliferation. Start clean and stay clean! Chemicals are available to help control the disease and work best when used early. Use the QR code to see what some of these are. Be aware of the health and vigor or your crop; don’t just water and move on. Keep an eye on the health of your crop check often for signs of trouble.